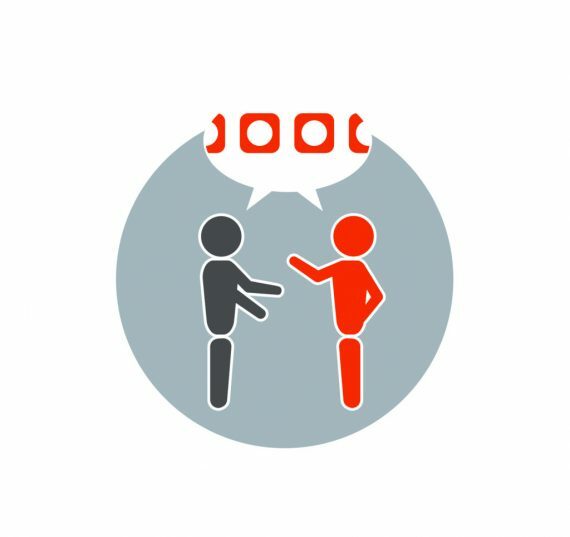 Are you looking for a motion capture system which is able to record full-body data from one or more actors, in order to drive an animated skeleton in Unreal, Unity, Motion Builder or similar software – with the final goal of having rendered characters move realistically in computer games, movies or videos? Do you need software developed specially for typical workflows in Animation in order to implement a pipeline which is as efficient as possible, thus saving valuable actor and operator time? Would you like software that performs all key functions, including subject calibration and skeletal solving, in real time – further reducing the time needed for actor preparation and shooting? We offer camera systems with sensors up to 16 megapixels, which can record marker positions with accuracy of 1mm or better – ensuring that the raw data quality is as good as it can be. The Vicon Shogun software was developed specially for an efficient Animation-Workflow, which enables you to set up a pipeline that suits your needs, and which delivers production quality data much faster than any other solution on the market. The “unbreakable solve” introduced with the Vicon Shogun software delivers skeletal data in real time even when a high proportion of markers are occluded. This enables complex moves involving multiple actors to be captured and processed with a minimum of post-processing time required. 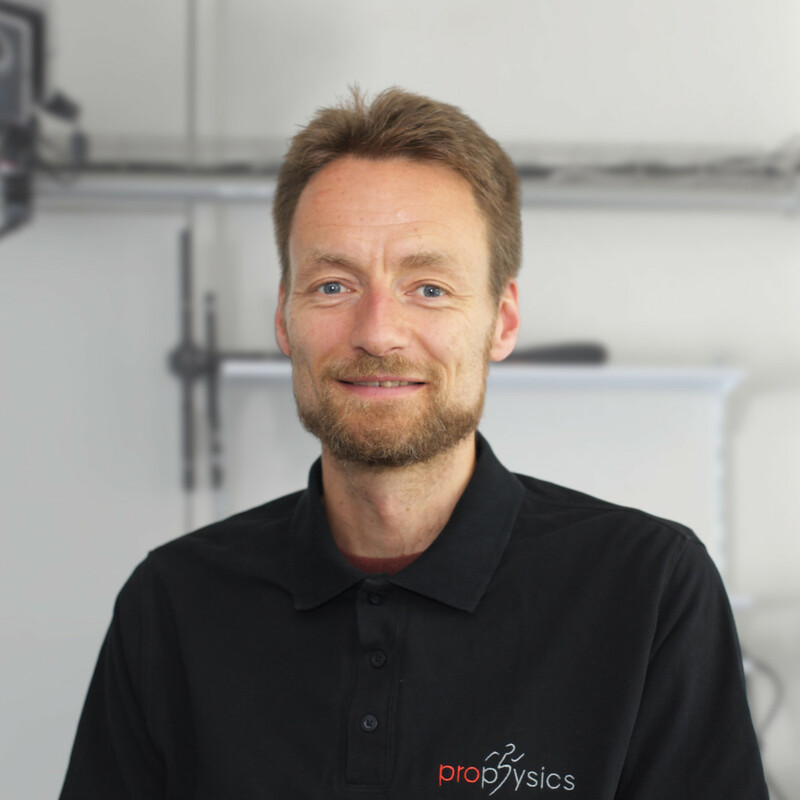 "We are dedicated to the development and promotion of motion capture. So if you think you could benefit from our equipment and experience, do not hesitate to contact us. 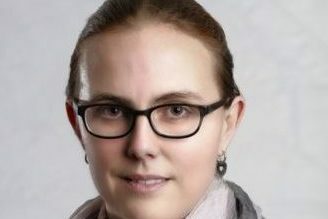 We will be glad to help you develop your project." The new Shogun software is much more efficient than any previous motion capture software. Why? Ask here! The Vicon system is used by many big film and game studios all over the world. If you need a state-of-the-art system to capture the movements of many actors at the same time, you need Vantage cameras. With up to 16 megapixels, even very detailed marker sets can be recorded reliably. The Shogun software processes the raw data very efficiently in real-time or after a minimal clean-up to production quality. 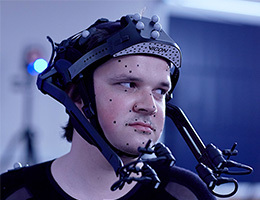 Vicon Cara is the world's first out of the box 3D facial motion capture system. With a custom made HeadRig built for actor comfort, four HD cameras and optional on-board lighting, Performance Capture has never been so easy. If you need realistic facial expressions for your CG character, the Cara system is an effective help. Vicon software communicates directly with software and systems that are used for virtual reality. Thus, the position and orientation of up to 100 objects is streamed directly into Oculus or HTC Vive VR headsets with minimum latency (up to 2ms) to make the VR world truly interactive. 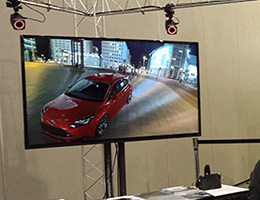 The Vero cameras are particularly well suited for smaller studios and for training or previz purposes. Its vario-lens allows a very flexible placement of the cameras, and thus the capture volume can be maximized even in smaller size studios. The cost-effective, flexible yet with up to 2.2-megapixel resolution Vero camera facilitates a perfect start into professional motion capturing with a limited budget. We support you in implementing ideas for your own clinical protocols. On request, we program applications for your measuring routine. 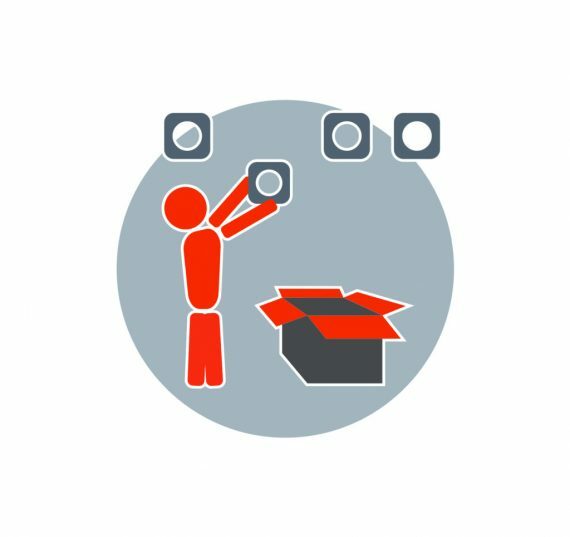 During the installation, we set up the system precisely and optimize the settings for your requirements. We offer consulting, training and support for the integration of the data stream into your own software. I want to establish a motion capture studio. How many cameras do I need? 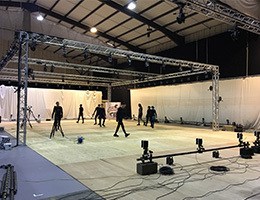 Are you looking for a motion capture system which is able to record full-body data from one or more actors, in order to drive an animated The number of cameras depends on the size of the capture volume, the number of actors you wish to record simultaneously, and the detail you wish to record (e.g. whether you want face and fingers or not). 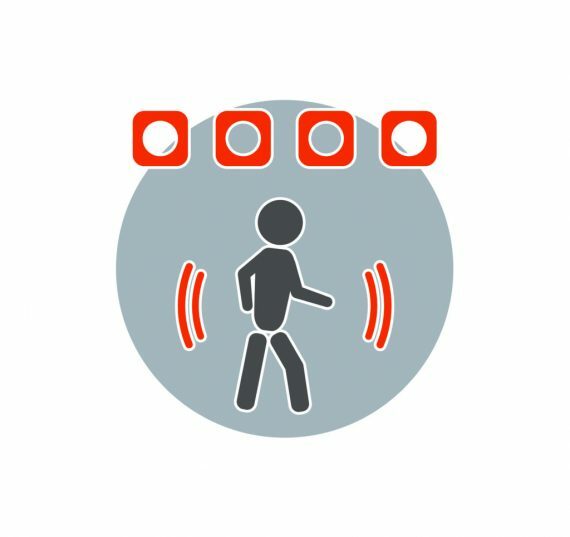 A small volume (from 20 m2) that enables you to record 1-2 actors requires from 8 cameras, whereas a big volume (say 200 m2) with face and fingers could require 50 cameras or more. Our expertise is to recommend the appropriate system for a given volume and application. Time is money – how much time do I need to process each recording? This depends largely on the number of markers and actors, as well as the complexity of the movement. The system measures the 3D positions of the markers and finds the optimal fit of a 3D skeleton based on these. The Vicon Shogun software has the world’s most advanced algorithm for finding the optimum skeletal solve, which ensures realistic movement of the skeleton despite a large number of occluded markers. Most often, the skeletal solve can directly stream into games engines or other software. However, when clean-up is required, Shogun’s algorithms mean that this will require less time than in other software packages. 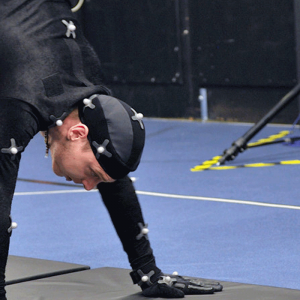 Can I combine motion capture and Virtual Reality? 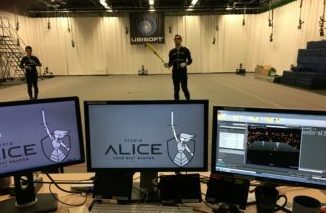 There are several ways to combine VR and Mocap. The easiest way is to track positions of rigid objects, for example the position of the head, and to use this to generate positions of objects in VR. This way, you could track for example the head position and a weapon for a VR game. However, it is also possible to track the positions of hands, feet and head and use these to drive a complete VR avatar. Finally, a full-body marker set is the most accurate and realistic way to generate an avatar in VR. What software packages can I use to process my data? The Vicon Shogun software has been optimized to let you stream or transfer the data to other software packages as quickly as possible. Shogun has interfaces to the most popular software packages for animation – among others Unreal, Unity, Maya, 3D Studio Max and Motion Builder. How does the software let me clean up data when markers are occluded? The Vicon Shogun software has a skeletal solve algorithm that works very well even when a large proportion of markers are occluded, so in most cases, little or no clean-up will be necessary. However, Shogun also has manual clean-up tools that let you gap fill marker trajectories, adjust poses and otherwise sort out tracking problems that may occur when too many markers are missing. Does the Vicon System also allow me to capture face data? 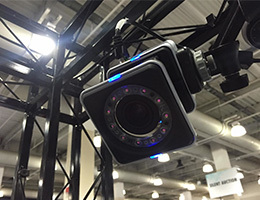 The Vicon Cara and Cara Lite systems are based on a head-mounted rig that fits snugly, and which has front-mounted cameras that record face motion automatically. The rig can be worn together with a markers for full-body captures, and is therefore the easiest and fastest way to do full-performance captures.